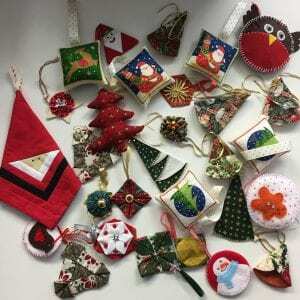 Residents at six of our care homes will have something special to hang on their trees this Christmas after Bernina users from around the UK responded to the company’s appeal for new Christmas decorations. More than a hundred specially created decorations were donated to the Bernina Christmas Tree campaign and are now being distributed to The Lawn in Alton, Bernard Sunley in Woking, Moor House in Staines-upon-Thames, New Copford Place in Colchester, The Old Vicarage near Wallingford and Little Bramingham Farm in Luton. To find out more about how you can support our charity, click here.